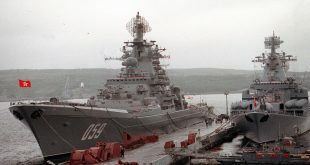 On Sunday, November 25, the Russian coast guard attacked three Ukrainian naval vessels in the Sea of Azov, despite the fact that a 2003 agreement between the two nations gives Ukraine the indisputable right to use those waters. Ukraine Declares Martial Law and placed armed forces on a full alert amid situation in the Kerch Strait and the attack on Ukrainian warships. In response to this latest crisis, the Ukrainian parliament has voted to impose martial law for a period of 30 days. The law will affect ten regions bordering Russia and the unrecognized territory of Transnistria: Vinnitsia, Luhansk, Mykolaiv, Odessa, Sumy, Kharkiv, Chernihiv, Kherson, Zaporizhia and Donetsk regions. While martial law is in effect, there will be restrictions to the rights and freedoms of citizens. The National Security and Defense Council (NSDC ) of Ukraine under the chairmanship of President Petro Poroshenko approved the decision to offer the President of Ukraine the introduction of a martial law. The NSDC considers it necessary to introduce a special legal regime in Ukraine in order to create conditions for repelling armed aggression and ensuring national security, eliminating threats to independence and territorial integrity of Ukraine. On the world stage, the annexation of the Sea of Azov and the abduction of Ukraine’s naval vessels and crews call for immediate reaction by the international community. Ukraine, which is not a member of NATO, would be on its own in the case of an all-out war, and may need assistance building up forces and weapons in the contested waters in case of a Russian attack on its port cities. Now, military capabilities from both countries are pouring into the area and an outright conflict has never been more possible between the two bitter neighbors. A standoff around the Kerch Strait is almost inevitable at this point, but what how far this escalates militarily has a lot to do with Russia’s intentions. If Russian forces planned this event and it was not some fluke incident – which seems unlikely – then they likely had a larger outcome in mind. If this was a saber-rattling move aimed at moving forward Russia’s creeping control of the Sea of Azov by installing a short blockade, we could see a move to de-escalate not long after an initial standoff and Russian show of force. If the blockade was planned to be long-term in nature, then that’s a whole other and much more complex geopolitical and military problem. Regardless, the chances for an unintended spark to set the region on fire has risen drastically. The next 24 hours will be quite perilous and we can only hope the international community will step in and try to negotiate some sort of de-escalation deal.